If Kevin Stallings were still in the Southeastern Conference, his roster — featuring an arsenal of returning talent and multiple all-conference performers — would rank among the best, a definite contender to make the title game in the conference tournament. But Stallings, the new head coach of the men’s basketball team who spent the past 17 seasons as Vanderbilt’s head coach, is in the ACC — perhaps the most competitive conference in the country this year. Preseason polls project his Pitt men’s basketball team to finish in the bottom tier of the conference despite returning six out of the top seven scorers from last year’s NCAA Tournament team. And without longtime head coach Jamie Dixon at the helm, the identity of the program under Stallings is currently a mystery. What is obvious is that Pitt will go as far as its top two seniors — guard and forward Jamel Artis and power forward Michael Young — will take the team. The pair have led the Panthers in scoring each of the past two seasons in a trend that will almost certainly continue into 2016-2017. Artis’ role on the team is especially intriguing. The senior — who has only played forward during his three-year career at Pitt — says he will play point guard to start the season. The move would give the Panthers a projected starting lineup of five players all standing 6-foot-6 or taller, which could help them overcome a lack of size in the frontcourt by creating mismatches at the guard position. Young, the team’s best player, is a bona fide force on offense. The 6-foot-9, 235-pound forward is incredibly difficult to defend in the post and boasts a reliable mid-range jumper. With a potential increase in tempo, it isn’t out of the question to expect 20 points per game from the Duquesne native. Young and Artis give the Panthers the only duo of returning All-ACC performers in the conference, but Pitt has other talented players on the roster too. Perhaps the most interesting is redshirt sophomore Cameron Johnson: the team’s best perimeter shooter, who possesses good athleticism and size at 6-foot-8. He finished the season strong with a breakout performance in the Panthers’ 72-71 ACC Tournament win against Syracuse, posting a career-high 24 points. Senior forward Sheldon Jeter — who played under Stallings at Vanderbilt before transferring to Polk State College and then Pitt — is also expected to join the starting lineup after fluctuating in and out of it under Dixon. Jeter is a polished offensive player who can score from anywhere on the court but needs to make improvements in his post defense. The Panthers’ top defensive players are redshirt senior guard Chris Jones — who will probably join Artis, Young, Johnson and Jeter in the starting lineup — and junior forward Ryan Luther, who appears primed to serve as the Panthers’ sixth man. Jones matches up well against guards and small forwards while Luther is the team’s best post defender. Stallings will need the two to pick up slack on the defensive side, as the rest of Pitt’s main rotation players are lackluster in that area. The Panthers won’t feature many newcomers, as the only fresh faces are true freshmen Justice Kithcart and Corey Manigault and junior college transfer Crisshawn Clark. Manigualt has tons of potential, and Clark looked solid in the team’s open scrimmage earlier in October, but Kithcart will likely be the most productive of the three. The freshman point guard is explosive and athletic and will serve as an insurance policy in case the Artis-at-point guard experiment fails. In other seasons, all of these pieces would be primed for an appearance in AP Top 25 polls and projections to finish in the upper echelon of the conference. But there are at least five teams in the ACC clearly better than Pitt — Duke, North Carolina, Louisville, Syracuse and Virginia — and six more that are at least as good. In his first season, Stallings faces a distinct challenge of squeezing the very most out of a talented group facing difficult circumstances. 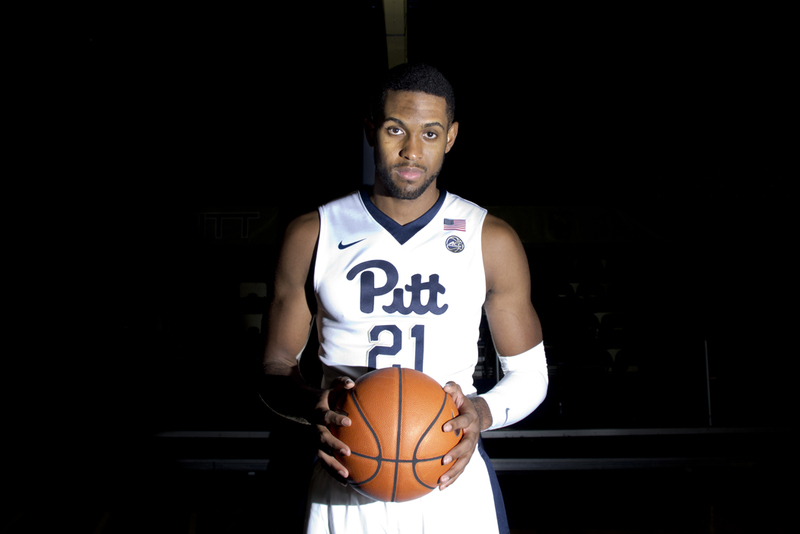 It will be a good litmus test for what Pitt can expect out of the new face of its program.